Students will demonstrate a basic knowledge in the areas of biology, chemistry, mathematics, and oral/written communication along with a basic understanding of agriculture consistent with standards set for baccalaureate degrees. Our facilities include hydraulic chute system and Artificial Insemination stalls, climate controlled indoor arena, on campus feedlot, campus owned cow-calf herd, and over 15,000 combined acres of crop and range land at NCTA and UNL West Central Research and Extension Center. The main draw to NCTA was the small campus and a hands on animal science program. I was excited to receive a scholarship to NCTA to be on the collegiate rodeo team. 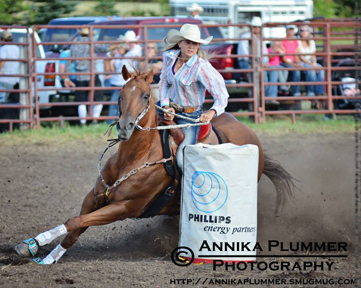 Rodeo is passion and I love being a part of the team here at NCTA. My favorite part about NCTA is the nice people and how friendly everyone is!